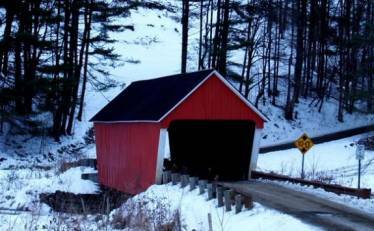 The Gifford Covered Bridge, located in South Randolph, Vermont, was originally built in 1904 by an unknown builder. Also known as the C.K. 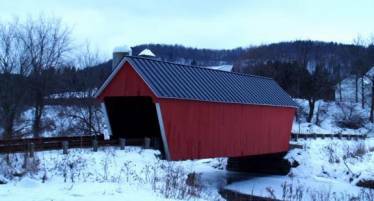 Smith Covered Bridge, the structure crosses the White River and is located on Hyde Road. The bridge is thought to have originated as an open bridge, without the covered structure it has today, and to have been constructed in the 1880s. 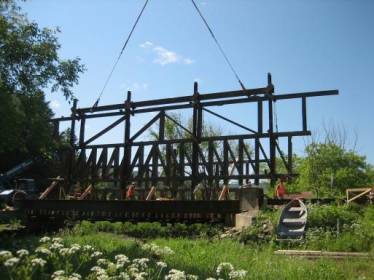 The truss system used in its construction is distinctive and exemplifies the design and construction techniques of the pre-covered bridge era. Due to its unique nature, it is on the National Registry of Historic Places. The 44 foot span has been altered and fortified throughout the years resulting in a heavily modified deck system along with steel I-beams, which have been used to strengthen the bridge. 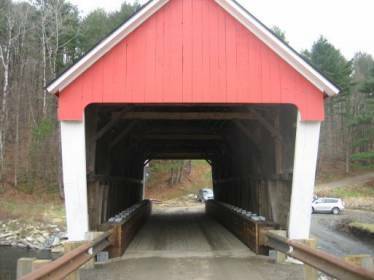 In August of 2011, the Vermont Agency of Transportation began a rehabilitation project funded by the Vermont Historical Bridge Program. The federally funded project required 100% domestic materials, and starting in May of 2011, Portland Bolt supplied custom domestic hardware including custom lag bolts, carriage bolts, hex bolts, plates and rods. Portland Bolt cut, forged, threaded and galvanized the custom bolts from start to finish within our 94,000 square foot facility. The project included 1″ by 28″ carriage bolts as well as 7⁄8” and 1″ diameter lag bolts. 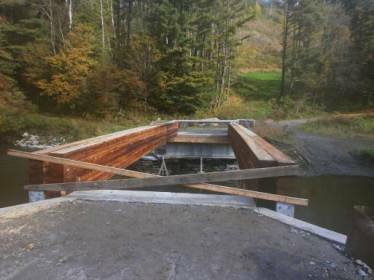 Due to our ability to domestically manufacture nonstandard wood fasteners and other construction fasteners, Portland Bolt is perfectly positioned to be the key domestic bolt supplier for custom bolts on your covered bridge project or any other construction project requiring domestically made and custom fasteners.